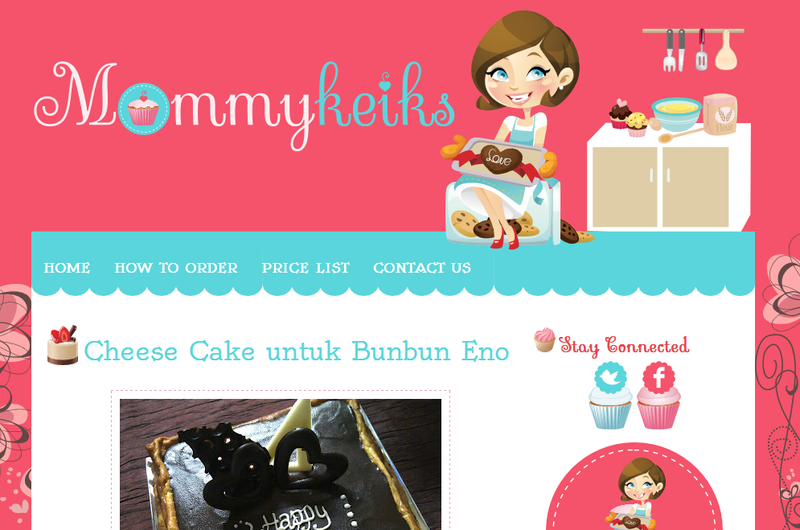 Mommykeiks blogger template is the newest custom design. Ordered by Mba Ayu for her cake blog. She accept for any cake order i.e. cupcake, cheese cake, and many more. She ask for blue and pink color combination. Actually, many clients ask for this pastel color so I have to mix and match to avoid same color with another design. And mom with her cakes illustration is the main of this template design. Check out her blog for full preview of Mommykeiks Blogger Template. nama blog yg unik, hahaha... untung gak stamek keik..
where ıs the theme ?